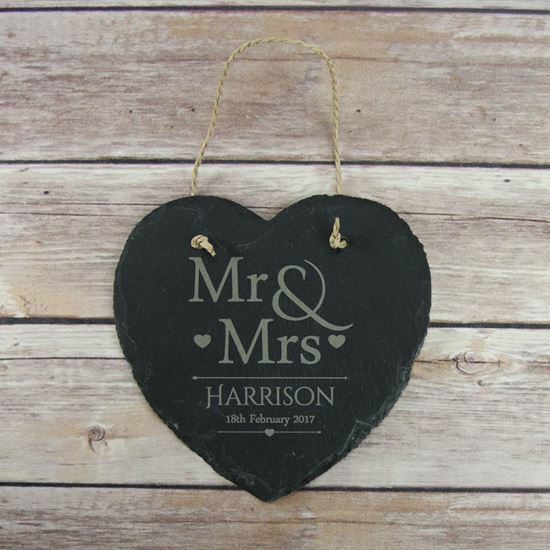 Our lovely slate hanging signs can be hung indoors or outdoors for a great rustic look. This design is the perfect wedding gift as it features a Mr & Mrs design and the surname of the couple along with the date of the wedding. Each sign measures 15cm across so is small enough to be hung just about anywhere and the natural slate is perfect for a rustic look. Please note that because this is a natural product, each slate will vary slightly. Please enter your name exactly as you would like it to appear on the sign.